The Health Product Declaration® (HPD) Open Standard provides a rigorously-defined specification for a standard format and instructions to accurately, reliably and consistently report the material contents of a building product, and associated health information. Since its initial release as HPD Open Standard v1.0 in 2012, the Standard has been voluntarily adopted by the majority of leading green building rating and certification programs, with the goal of harmonizing the reporting of the data encompassed within the Standard across all industry programs. This harmonization commitment ensures that the underlying information upon which ratings and certifications are made is accurate, reliable and consistent across green building programs. The end result is higher quality data and more efficient reporting and use of data across the entire green building ecosystem. Manufacturers voluntarily use the Standard to report their product information, and may choose to make it publicly available via the HPD Public Repository. Over 500 manufacturers have, to-date, published over 4,000 HPD reports, covering well over 10,000 building products. For customers who want to know what is in the products they are specifying, buying, and using, a manufacturer can provide comprehensive information about a product’s material contents and associated health information using the HPD Open Standard. The HPD Open Standard reporting method and tools increase efficiency for manufacturers by replacing redundant – and sometimes conflicting – reporting formats, with a single format that will be accepted by leading materials disclosure and evaluation tools, green building rating systems, and organizations that have private, in-house standard and optimization programs. The HPD Open Standard is an excellent vehicle for manufacturer disclosure and transparency programs, that provides an industry-accepted method for reporting product contents and the associated health information. For manufacturers that are constrained to fully disclose contents because of limitations within their supply chain or by other factors, the HPD Open Standard provides flexibility. For example, manufacturers facing challenges with intellectual property or supply chain communication gaps can use the HPD to characterize the level of disclosure they are able to achieve. The HPD Open Standard promotes clear communication amongst the spectrum of stakeholders by providing a common language for reporting product content and associated health information. This allows the Standard to be applied in many different purposes such as: rating system reporting, red-list compliance, product certification, manufacturing standards, supply chain management, and purchasing protocols. The Health Product Declaration Collaborative (HPDC) welcomes membership of manufacturers and suppliers that support a common language for reporting product contents and information about how each ingredient relates to human and environmental health. HPD Open Standard V2.1.1 was released on July 2, 2018. This Release provides the official Standard document, as well as descriptive materials that explain updated features. Full Implementation of HPD v2.1.1 will be concurrent with the availability of the updated HPD Builder tool, planned for November 2018, at which time HPD v2.1.1 will become the “Effective” HPD Open Standard. The first phase of the 2.1.1 rollout, the new User Interface, was released on October 1st. The remaining changes are targeted for late November 2018. Please check back here for an update on planned Effective Date. Following the Effective Date, all newly published HPDs will need to be compliant with HPD v2.1.1. New HPDs created using the HPD Builder, and any other Standard-compliant automated tool, will automatically be created under HPD v2.1.1. Within the HPD Builder tool manufacturers will, at their option, be able to update an existing HPD v2.1 to the v2.1.1 revision. HPDs completed under previous versions of the HPD Open Standard will remain valid through their existing expiry dates. Several Special Conditions are ready for release in Emerging Best Practices, following development within the HPDC Technical Committee and Technical Sub-Groups. We need to make several updates to the HPD Format and Instructions, as well, to accommodate the use of these Special Conditions. In the area of Hazard Screening we need to align with the latest version of GreenScreen® for Safer Chemicals and List Translator™. We have also included updates that further harmonize List Translator implementation methods. We have also included minor edits in our continuing effort to ensure that the Standard meets rigorous quality goals. For more information on HPD Open Standard v2.1.1, and to download the Standard, please click on this link. Introduced in 2012, the Health Product Declaration® (HPD) Open Standard is intended to evolve to reflect the consensus, stakeholder practices in the building industry regarding the reporting, disclosure and transparency of product content and associated health information. 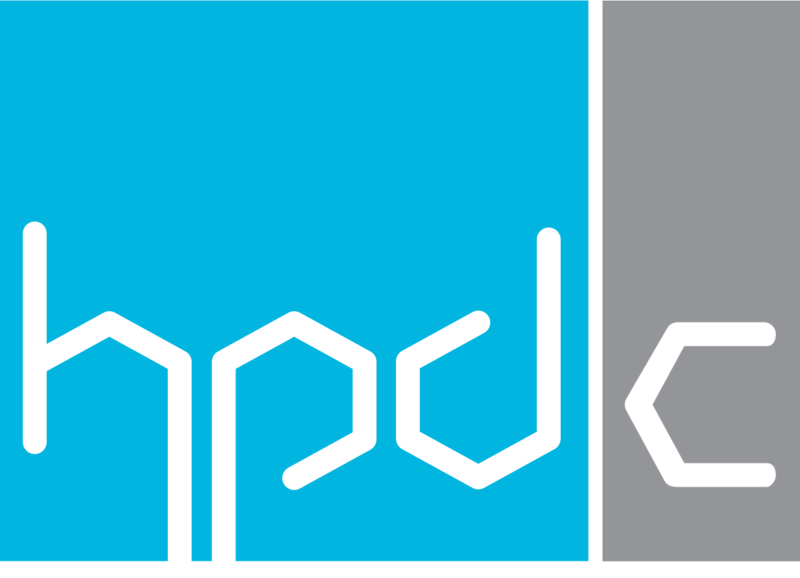 The HPD Collaborative (HPDC) is the non-profit, member-led organization that oversees the evolution of the Standard, through the work of its Technical Committee and Technical Sub-Groups. Periodically new revisions to the Standard are introduced, to ensure that the Standard supports the learning and growth of work in the reporting and use of HPDs in everyday practice in the building industry. HPDs that were created with version 2.0 will remain valid through their existing expiry dates. Manufacturers will, at their option, be able to update a published HPD 2.0 to the 2.1 revision, using the HPD Builder tool. The HPD Builder for version 2.1 is planned for release in July. Registered users of the HPD Builder will receive a separate communication with information specific to HPD Builder 2.1. Information regarding availability of the HPD Builder 2.1 is also available on the HPD Builder Page of this website. The HPD allows me to finally specify products with full knowledge of what’s in them and how it will impact a building’s environment and occupants. No other certification or disclosure system is as comprehensive or transparent. The Health Product Declaration Open Standard is the intellectual property of the HPD Collaborative, and provided to the public, free-of-charge, under the Creative Commons: Attribution-NoDerivs CC BY-ND 4.0) license. Anyone using the HPD Open Standard must comply with the terms of this license agreement, which will be enforced by the HPD Collaborative. For information on use of the terms, logos and trademarks, please click here.